In your capacity as a professional act you will be approached, many times, by people who will expect you to work for nothing, for their charity. They will speak to you in undertones that can, if you’re not careful, make you feel heartless, if you buy into their guilt tripping dialogue. The fact is however that you are a professional act, trying to make a living out of your talent; trying to balance your work life with your home life, just like anyone else and trying to pay the bills. Donate now to help treat fistula patients and transform the lives of women in need. If you have a particular charity that you care about, by all means go out of your way to give and contribute as much as you can but for other requests this is my advice. Your primary work days will usually be Friday, Saturday & Sunday; when you can get the best price for your shows. This is how you make your living. Don’t be tempted to give up one of your primary revenue days for charity because of a guilt trip; your livelihood will be at risk. And don’t underestimate the power that can be wielded by someone who is passionate about making money for their particular charity; even white haired old ladies can tangle up your heart strings, to the point where you find yourself saying yes, even if you’re worried about how you’re going to pay the electricity bill next month. Joe public just doesn’t ‘GET IT’. You are a professional act! You make your living in showbiz! As a result of this you need to find ways of explaining this very important but often missed fact, in the best way possible to your would be Charity Booker. Recently I did a charity fundraiser on a Saturday night and as always on a Saturday night, was paid my full appearance fee. I wouldn’t have it any other way and feel totally justified in doing so. The function had been marketed as a result of the reputation I have gained in the area in question and therefore a large amount of money had been generated via ticket sales, on the back of this. With this Revenue (note I say revenue and not profit) the charity organiser paid my fee and the fee for the caterers. Some people may feel this to be hard nosed but you simply have to ask them this question; Would they do a hard days work for free? The answer may be yes. In reality that would probably only be a one off occasion and they would soon realise that they would prefer to do Charity work on a day that didn’t interfere with their ‘JOB’, their livelihood. They would be very unlikely to take a day off work or to offer to be paid half their usual daily salary for a day, just so they could help you to raise money for your particular charity. In fact this is what they are asking you to do when they expect you to work for free or for a reduced rate on your primary earning nights. It would cost them a lot and hit them in their pockets; something which nobody likes. Entertainers are no different. Lots and lots of entertainers go out for expenses for charity gigs on days that are traditionally quiet like a Monday or a Tuesday maybe but many simply cannot afford nor should be ‘Expected’ to perform for FREE on their main earning nights. If you are looking for an entertainer for your charity, then my advice is to make sure your event is not on a weekend. Or simply bite the bullet and decide to pay the going rate for the act you choose, so that you can hold it on a weekend and potentially make more money, even after costs, because of lager ticket sales on a weekend. It’s not easy to keep the ‘Charity Monster’ under control. I call it a monster, because if you don’t control it, it can take up a disproportionate amount of your time and threaten your living. I don’t mean to be disrespectful either, I have done a lot of charity work throughout my career and continue to do so but there has to be a healthy balance. 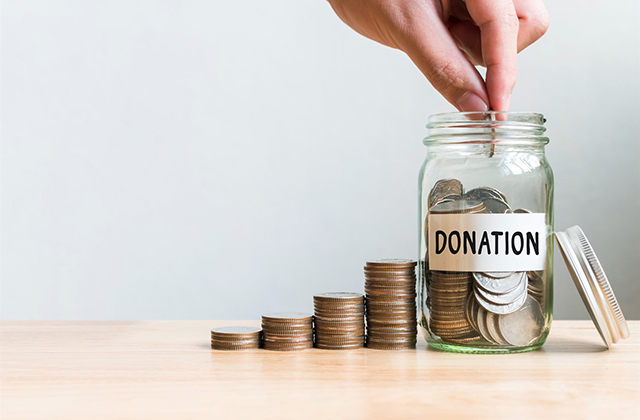 If you find yourself bombarded with charity requests, simply negotiate them like you would do any other gig contract and stand firm from the premise that the expectation is that you will not be doing it for a reduced fee, if it is on a weekend. Ask them if they are asking the caterers to do the food at a reduced rate. The answer will usually be NO, need I say more? One extra point to consider here is, if you are at the beginning of your career and you have yet to develop a good reputation, then Charity work is a good way of getting your name known. But be shrewd and make sure the venue or charity event organisers book you for a fully paid gig as well and then just make sure you go down really well so that they will be looking forward to your return visit. Hey presto! you have helped the Charity, increased your profile and developed a potentially loyal set of supporters all in one fowl swoop. Aren’t you clever! It’s not called Show business for nothing. Remember if you forget the business side you won’t have very many opportunities to present your Show. Keep working hard and enjoy your talent. I wrote the article above as a result of feeling very unnerved and pressurized into working for free or for a reduced rate, for charity. Most people wouldn’t take a day off work and loose their pay, even for their own charity but for some strange reason, people expect entertainers to do so, for charities they may have no connection with. There are only so many hours in a week and even though entertainers are wonderful, special people, they are still only human!